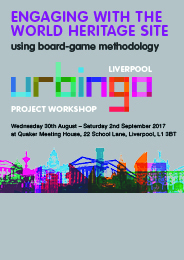 Engage invites you and your family to help us design and make a board game for Liverpool that is already a great success in Lithuania where it was first launched. Jekaterina Lavrinec from Laimikis.lt/urbingo is coming to Liverpool to run a series of Workshops from Wednesday 30th August to Saturday 2nd September all held in the Quaker Meeting House with sessions in the mornings, afternoons and evenings. 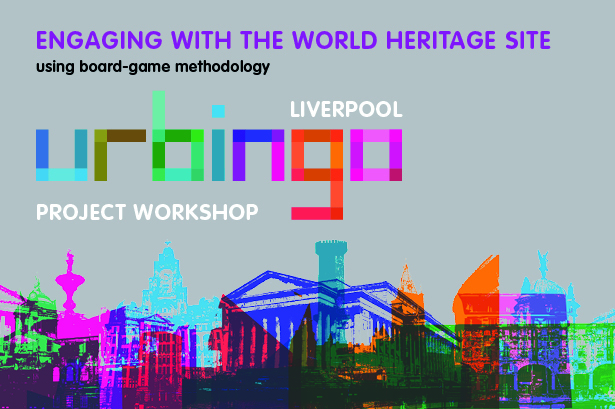 We need photographers, designers, illustrators, historians, city guides and families who will walk the neighbourhoods of the World Heritage Site as we design a game around the history of the buildings and places that are part of the UNESCO Liverpool Maritime Mercantile City. 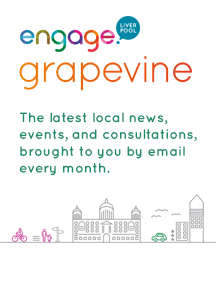 Sign up for whatever times you are free at Eventbrite below. There is no charge at all and all workshops are FREE.